Free & Reduced Meal Application Eligibility Status Now Available by E-mail! As part of Lincoln Public Schools endeavor to make information easily accessible to families we are pleased to inform you that your students free & reduced eligibility notification letter will be provided to you on-line. We believe that this will be a more effective and useful process for all our families, as well as serve as a wise use of school district resources. You will receive an e-mail from “School Lunch Status” with the subject line: “Eligibility Status Is Available!” In the e-mail you will be provided a link to your family’s eligibility notification. You can view or print your students’ eligibility letter anytime throughout the school year. E-mail notifications will be sent in lieu of U.S. postal mail when you provide an e-mail address on your free & reduced meals application or if you have a valid e-mail address on file at your student’s school. Please allow up to 2-3 business days after submitting your online application or up to ten business days after submitting a paper application to receive your eligibility notification. Applications submitted without an e-mail address will be sent via U.S. mail. Paper applications can be picked up at your child’s school or at the District Office (5905 O Street). Please call the Nutrition Services Office at 402-436-1746 if you have questions regarding the Free and Reduced Meals program. Lincoln Public Schools provides all necessary school supplies. Below are suggested donations and personal school supplies. Donations of hand sanitizer, Kleenex, Elmer’s glue sticks, 24-count size Crayola crayons, #2 yellow pencils and Expo fine tip dry erase markers. Donations of hand sanitizer, tissues, black fine tip Expo markers, colored Expo markers, glue sticks, crayons, stickers, markers or Ticonderoga #2 yellow pencils. Donations of Kleenex, expo markers and hand sanitizer. Classroom contributions are always appreciated if you would like to contribute. Below is a list of supplies that students in 4th Grade classrooms will use this year. Classroom contributions are always appreciated if you would like to contribute. Below is a list of supplies that students in 5th Grade classrooms will use this year. School will begin on Monday, August 15, 2016. Dismissal time for August 15, 16 & 17 will be at 2:18 PM. Dismissal time for August 18 & 19 will be normal dismissal time of 3:38 PM. 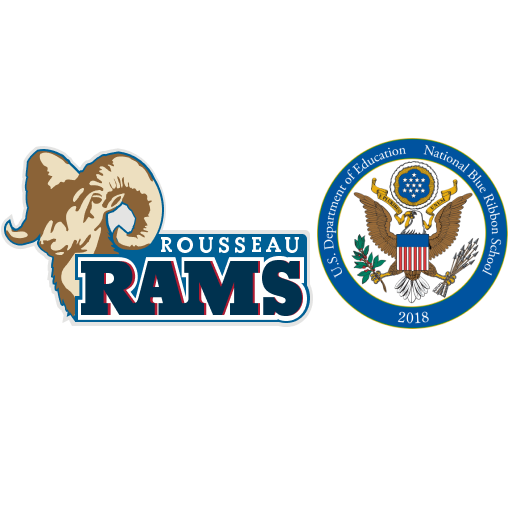 Rousseau Open House will be Thursday, August 11, 2016 from 5:30-6:30 PM. Students will be able to meet their teacher and see their classroom. We hope to see you there. If you are new to the Rousseau area and have not called the office to enroll, please call 402-436-1165 to set up a time to come in and fill out paperwork. We are closed to permit for anyone living outside the Rousseau attendance area. Rousseau’s Summer Library will be every Wednesday from 9:00 AM -12:00 pm June 1 through July 20. Below is a link from Lincoln City Libraries explaining the new summer reading program. Please click on the second link to register for the summer library. There will be no folders or stickers to keep track of, it is all online. It would be helpful to sign up before you come to summer library on June 1 as we will have a limited number of laptops for registration. There will be a craft and story time is at 10:00 AM. Carol Hughes will not be leading the summer reading program this year. We welcome Bob Haack, media specialist from Kooser. Please remember all children MUST BE accompanied by an adult.